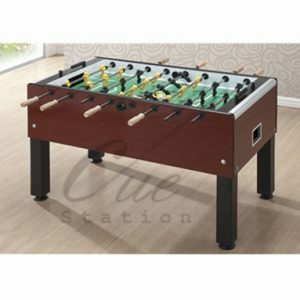 The CAMEO Soccer Table is one beautiful Foosball table with a sleek contemporary feel, state of the art engineering with exceptional quality, it excels in adding multidimensional to home entertainment. 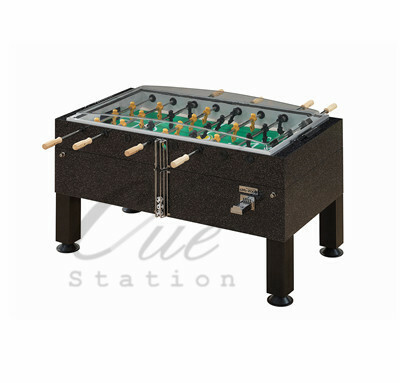 This beautiful gaming table has leg pad and down corner construction for added stability. Approximate dimension will be L 142cm x W 110cm x H 102cm. 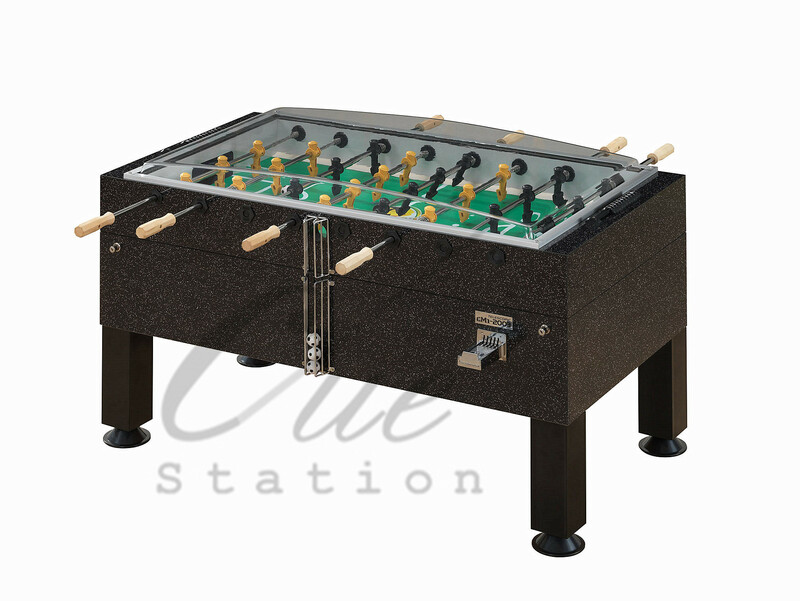 On the top, this Foosball table as well build in with safety top cover compartment preventing the ball flying out and other safety reason. This extremely durable and safety table requires minimal maintenance, most suitable for commercial usage and also for homes.